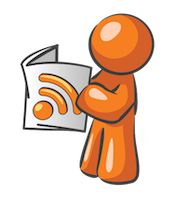 This layer enables Elfeed, a web feeds client which supports both Atom and RSS feeds. It'll optionally enable supporting packages, such as elfeed-web and elfeed-org. To use this configuration layer, add it to your ~/.spacemacs. You will need to add elfeed to the existing dotspacemacs-configuration-layers list in this file. By default, elfeed stores its database under ~/.elfeed. (elfeed :variables rmh-elfeed-org-files (list "~/.emacs.d/private/elfeed1.org"
Checkout elfeed-org documentation to see the format of that file. To explicitly setup the list of feeds, set the value of elfeed-feeds variable in your .spacemacs file. Check documentation for elfeed-feeds for more information about this variable (SPC h d v elfeed-feeds RET). Elfeed comes with a simple web interface to browse its database. You can manually start it by calling elfeed-web-start or by setting elfeed-enable-web-interface to t which will start the web automatically when Emacs starts. By default web interface is available on localhost:8080/elfeed. You can change the default port by changing the value of httpd-port. Use SPC ? to discover major-mode key bindings. q quit main window, or item view buffer. Be sure that you added some feeds first then load your feeds with gr in evilified buffer. Or M-x elfeed-update. If you are getting "Queue timeout exceeded" errors, try increasing the value of url-queue-timeout.